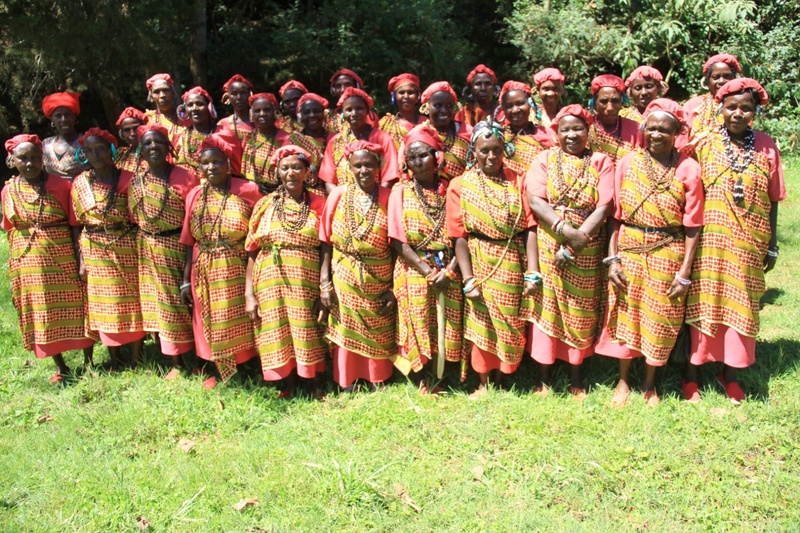 Gacharaigu Gitiro Women Group: The group is led by Fidelia Nyambura Mwangi. They are from Munuga Village, Munuga sub location, Muguru Ward, Muguru Division, Kamgema District and was formed in 2006 and dedicated to self-help. Its style is Ndumo, an old women’s dance purely for entertainment and preservation of culture. Ndumo: sung by Wambui Mwangi. Magic Moment: We then recorde a magic moment of the ladies and their leg shakers (Kigamba) – we did this twice, once with and one without the ladies humming (they needed to hum to get the beat right).